Rear Spring Suspension Shackle Bush Kit x4 for Land Rover Series 2 2a 3 SWB 88"
4x Bushes 548205. 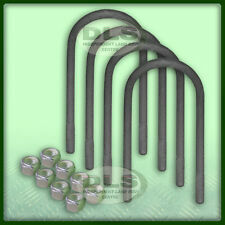 Land Rover Series 2A & 3 Front Leaf Spring Bush & Bolt Set. 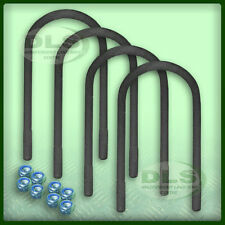 Series 2A & 3 Front Spring Bush Kit. Series 2A & 3, 88" SWB & 109"LWB Models. Land Rover Parts. Range Rover Parts. This option only applies to the UK Mainland & orders placed before 2.30pm. Equivalent to Land Rover 242127SET (used for reference only). Series – 2/2A/3 – All model years - 88” SWB models. PARTS >> ACCESSORIES >> DEFENDER SERIES DISCOVERY 1 1989 to 1998 DISCOVERY 2 1999 to 2003 DISCOVERY 3 2005 to 2009 DISCOVERY 4 2010 to 2016 DISCOVERY SPORT 2015 on FREELANDER 1 1996 to 2006 FREELANDER 2 2006 to 2014 RANGE ROVER CLASSIC RANGE ROVER P38 RANGE ROVER L322 2002 to 2012 RANGE ROVER L405 2013 on RANGE ROVER SPORT RANGE ROVER EVOQUE UPGRADES >> TOOLS,OILS AND OTHER DIY >> Books Manuals and Gifts. FRONT LEAF SPRING SHACKLE SET. LAND ROVER. SUITABLE FOR SERIES 2, 2A, 3. Series 2/2a/3 –LWB 109” exc.1 ton. PARTS >> ACCESSORIES >> DEFENDER SERIES DISCOVERY 1 1989 to 1998 DISCOVERY 2 1999 to 2003 DISCOVERY 3 2005 to 2009 DISCOVERY 4 2010 to 2016 DISCOVERY SPORT 2015 on FREELANDER 1 1996 to 2006 FREELANDER 2 2006 to 2014 RANGE ROVER CLASSIC RANGE ROVER P38 RANGE ROVER L322 2002 to 2012 RANGE ROVER L405 2013 on RANGE ROVER SPORT RANGE ROVER EVOQUE UPGRADES >> TOOLS,OILS AND OTHER DIY >> Books Manuals and Gifts. Equivalent to Land Rover 562637SET (used for reference only). Series – 2/2A/3 – All model years – 88” SWB petrol models. PARTS >> ACCESSORIES >> DEFENDER SERIES DISCOVERY 1 1989 to 1998 DISCOVERY 2 1999 to 2003 DISCOVERY 3 2005 to 2009 DISCOVERY 4 2010 to 2016 DISCOVERY SPORT 2015 on FREELANDER 1 1996 to 2006 FREELANDER 2 2006 to 2014 RANGE ROVER CLASSIC RANGE ROVER P38 RANGE ROVER L322 2002 to 2012 RANGE ROVER L405 2013 on RANGE ROVER SPORT RANGE ROVER EVOQUE UPGRADES >> TOOLS,OILS AND OTHER DIY >> Books Manuals and Gifts. Equivalent to Land Rover DA1211 (used for reference only). 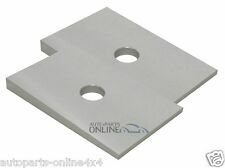 Leaf Spring Castor Correction Plate Set – 13mm Pin - Pair. -Can be used to correct castor or diff pin angle on leaf sprung vehicles by 3 degrees. Reference Part Number - 277502. LAND ROVER SERIES ACCELLERATOR SPRINGS. Quantity - x10. Parabolic FRONT And REAR Spring And Shock Absorber Kit. PARABOLIC LEAF SPRINGS (WITH U-BOLTS ). Land Rover Series 3 short wheel base only. BRITISH MANUFACTURED! 4 FRONT & REAR PROCOMP ES3000 SHOCK ABSORBERS. Trasero Muelle De Suspensión Grillete Bush Kit x4 para Land Rover Serie 2 2a 3 SWB 88"
Land Rover 2 leaf front 20mm ride height Parabolic Springs Pair Series II 88 Series IIA 88 Series III 88 Series II 109 Series IIA 109 Series III 109 All models BA 2113. Series II 88 Series IIA 88 Series III 88 Series II 109 Series IIA 109 Series III 109. (Land Rover Part Numbers : 242127 (bolt) and 251323 (nut). of theLAND ROVER SERIES 88". Set ofFOUR U BOLTS complete with SELF LOCKING NUTS. 4 bolts and 8 nuts. This will slow down the dispatch of your parcel.). Part Number - 562637. Land Rover Series 2 & 3 - 88' SWB Front Spring U Bolt. O ritiro in zona gratuito. Equivalent to Land Rover 90577723 (used for reference only). Series 2/2a/3 –LWB 109” 1958 onwards exc.109V8 and 1ton. 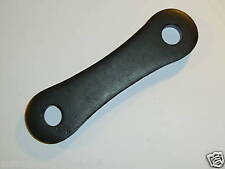 Front Outer Spring Shackle Plate – non thread. PARTS >> ACCESSORIES >> DEFENDER SERIES DISCOVERY 1 1989 to 1998 DISCOVERY 2 1999 to 2003 DISCOVERY 3 2005 to 2009 DISCOVERY 4 2010 to 2016 DISCOVERY SPORT 2015 on FREELANDER 1 1996 to 2006 FREELANDER 2 2006 to 2014 RANGE ROVER CLASSIC RANGE ROVER P38 RANGE ROVER L322 2002 to 2012 RANGE ROVER L405 2013 on RANGE ROVER SPORT RANGE ROVER EVOQUE UPGRADES >> TOOLS,OILS AND OTHER DIY >> Books Manuals and Gifts. Part Number:UBK02. Land Rover Series 2/2A/3 Petrol SWB 88”. 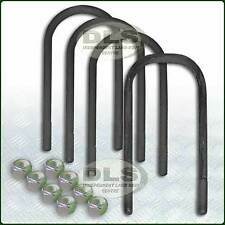 FRONT LEAF SPRING UBOLT SET 9LEAF. x 1 U BOLT. Unit 25 KELVIN WAY TRADING ESTATE. B70 7TW, UK. KELVIN WAY WEST BROMWICH, WEST MIDLANDS. x 3 U BOLTS. Land Rover 88" Series Vehicles Up to Suff C. Equivalent to Land Rover Part Number:-3459, 562637. This is for 1 New U Bolt and 2 New Nylock Nuts. Manufacturer's Part numbers are used for reference purposes only. Equivalent to Land Rover Part Number:-217259, 562641. Land Rover 88" Series Vehicles (Petrol). This is for 1 New U Bolt and 2 New Nylock Nuts. Manufacturer's Part numbers are used for reference purposes only. Land Rover Range Rover serie 1/2/2A/3 Leaf Spring LWB - 535173 pieza del OEM. ONE TONNE R.ROD LEAF SPRING LWB. LAND ROVER RANGE ROVER SERIES 1/2/2A/3 ALL MODELS. We are happy to help you. PICTURES AND PART NUMBERS ARE FOR REFERENCE ONLY AND DO NOT IMPLY THE MANUFACTURER. ALL SPECIFICATIONS ARE SUBJECT TO CHANGE. LAND ROVER RANGE ROVER SERIES SWB AND LWB DIESEL RHS. FRONT LEAF SPRING. PARTS COLOUR MAY VERY DUE TO MANUFACTURE PRODUCTION. PART NUMBERS ARE FOR REFERENCE ONLY AND DO NOT IMPLY THE MANUFACTURER. ALL SPECIFICATIONS ARE SUBJECT TO CHANGE. FOUR SHACKLE PINS and NYLOC NUTS. LAND ROVER SERIES 2 and 3 (88"). Land Rover Part Numbers : 537740 and 252165. LWB 1TON LEAF SPRING REAR 9 LEAF RHS & LHS. LAND ROVER SERIES. PARTS COLOUR MAY VERY DUE TO MANUFACTURE PRODUCTION. PART NUMBERS ARE FOR REFERENCE ONLY AND DO NOT IMPLY THE MANUFACTURER. ALL SPECIFICATIONS ARE SUBJECT TO CHANGE. PART NUMBER - DA1212. LAND ROVER SERIES 2/3 - Leaf Spring Castor Correction Plate Set (Pair) -. 16mm Centre Pin. Land Rover Series 2/2A/3. Unit 25 KELVIN WAY TRADING ESTATE. USEFUL LINKS. B70 7TW, UK. Manufacturer Part Number RE2113G. Modified Item No. Acerca de nosotros. Enlaces de interés. Enlaces Sociales. B70 7TW, REINO UNIDO. KELVIN MANERA WEST BROMWICH, MIDLANDS DEL OESTE. Unidad 25 KELVIN manera TRADING ESTATE. NUOVO Bullone Balestra OEM Land Rover Serie II 88 109. o ritiro in zona gratuito. Equivalent to Land Rover Part Number:-50527, 251323. Land Rover 88" Series Vehicles. This is for 2 New Lock Nuts (7/16 BSF). Manufacturer's Part numbers are used for reference purposes only. LAND ROVER SERIE 2/3 LWT - L/H. ELEVACIÓN TRASERA RESORTE 7LEAF. Manufacturer Part Number 562632. Durante muchos años Land Rover camino resortes han sido difíciles obtener la correcta especificación de OE. Land Rover Part Number : 279970. LAND ROVER SERIES 2, 2A and 3. Unit 25 KELVIN WAY TRADING ESTATE. USEFUL LINKS. B70 7TW, UK. KELVIN WAY WEST BROMWICH, WEST MIDLANDS. SHACKLE PIN / BOLT. LAND ROVER SERIES 2,3. We are happy to help you. Parts colour may very due to manufacture production. PICTURES AND PART NUMBERS ARE FOR REFERENCE ONLY AND DO NOT IMPLY THE MANUFACTURER. 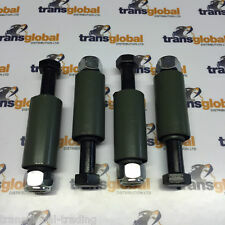 Manufacturer Part Number RTC5903SET. 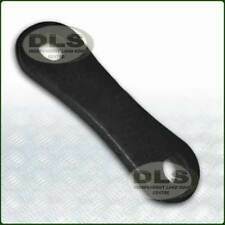 LAND ROVER SERIE 3 SWB - TUBO FLEXIBLE DELANTERO CONJUNTO (3). 88" SWB y LWB 109" (exc 1 tonelada. Land Rover Series3. Acerca de nosotros. Productos de calidad en los precios bajos. ). Suffix D onwards Axles. these are 7 1/2" thread ends to top of axle casing. Land Rover Series 111. Land Rover Genuine Part. U-Bolt with Flat Top. Durante muchos años Land Rover camino resortes han sido difíciles obtener la correcta especificación de OE. Los resortes se construyen con el 60SiCr8 de acero de aleación del grado correcto, calor tratamiento consistente en endurecer y templar y como ingenieros de Land Rover especificados y por lo tanto le dará años de servicio con la comodidad de conducción correcta. A continuación puede encontrar una traducción automática al español. Productos de calidad en los precios bajos. Modified Item No. Acerca de nosotros. Enlaces de interés. B70 7TW, REINO UNIDO. KELVIN MANERA WEST BROMWICH, MIDLANDS DEL OESTE.